In this episode: Badly burned CDs. Kitchen Duty. Forensic Coffee Stain Interpretation. TV is the Devil. American Ninja Warrior. Cantankerous shopping carts and empty newspaper boxes. 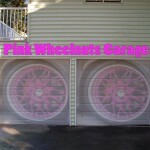 Join me on the Pink Wheelnuts Garage on June 1 at 7PM EDT on Pride48.com. Follow @Pride48Shuttle on Twitter and send a Direct Message, or send an e-mail to Pride48Shuttle@PinkWheelnuts.com with your ride request. The shuttle will be in operation from Sept 13 at 1800 hrs to Sept 16 at 1800 hrs. Truly horrible audio on this episode. I accidentily turned on the fuzzy audio switch on my recorder so apologies for the poor audio quality. More fighting in the shower, completed with karate poses. Then I played hookey and took a drive to Squamish. I rail against the Vocabulary Vixen. Rush hour drivers need to calm down. Send your bad grammar to the Vocabulary Vixen at the Grits to Glitz podcast. Updates on Dad’s Kodak Insta-Family. I play some Canadian fiddle music. We stalk some internet personalities, namely CroneHaven, Acacius Page and Mordy Jones. Technical difficulties abound as well as poor preparation. Mostly confusing info regarding the Pride 48 Shuttle and an interesting announcement. This episode of the Pink Wheelnuts we discuss American Idol, The Amazing Race, and first cars we owned or cars that made a significant impact in our driving history. Someone is crowned “Co-Host Emeritus.” This is an enhanced podcast, which will allow you to see pictures on your device or computer of the vehicles we talk about. Mark in Canada joins me for a post-play chat about The Boys in the Band. Join me on an adventure with Mark in Canada from Musings of a Tech Writer. We discuss burnout, radio voices, being accosted by ruffians on the street, and of course, the weather. See Mark’s episode 218 for a continuation of our day. Plus we talk about our impressions of “The Boys in the Band” on the next episode of Pink Wheelnuts. Unabashed PLUG for the Chop Shop Hair Salon and DJ David-J. Scotty the Little Aussie Battler phones in. I’m on vacation! I’m done with Words with Friends. Twitter is stressing me out (again).